As a starting note: this blog post is more of an opinion piece, and reflects my experiences and the summation of what I’ve learned from the perspective of a woman entering the field of patent law. While mostly positive, my experiences may not be identical to those of other women. This is simply one perspective. Many people, both men and women, cringe at the mention of ‘feminism’. However, equality between the sexes is an important topic to contemplate in all aspects of life. I’m not writing this article to put down or offend men in patent law, or in general. I would just like to point out that, for the time being, patent law is a field dominated by men. It’s a simple fact. In the last few years, only about 1 in 4 newly admitted practitioners to practice patent law before the USPTO were female (Kahler, 2013). This is highly influenced by the imbalanced ratio of men to women who have the technical background to sit the patent bar. If you would like to read more about this, please read the following Law 360 article and Intellectual Asset Management article. As a biologist, nothing makes me happier than to see a growing number of young women enter the STEM fields, of which I consider patent law to be included. Although a change is occurring, patent law is still basically a “boys’ club”. This year’s MSPL cohort consisted of ten students, seven of whom are female. Although we experience different perspectives due to our diverse backgrounds, we noted several times this year that there has been a distinct shortage of women patent practitioners amongst the many guest speakers and hosts that we had the pleasure of meeting. When we did have female guests, they would often marvel at how many women were in the program, and they would speak with excitement and encouragement in telling us that we have made a great choice in entering the field. As much as we appreciated and enjoyed ALL of our guest speakers and hosts throughout the year, we were always really excited to speak with other women practitioners and hear their stories. However, going beyond the smaller numbers of women in patent law, mindset is very important. As discussed in the above referenced Intellectual Asset Management article, Howrey Women’s Leadership Initiative associate Alyson Barker made a statement about how making sure women are treated as equals is more important than having equal numbers (2008). I feel as though this is the bigger challenge for women in IP careers. I once spoke with a female guest speaker after one of the MSPL lunch and learns, and she verified that being female in the field of IP will bring some challenges. She also touched on the idea that the struggle is not necessarily finding a job as much as being viewed as an equal and making your way up the ladder to the point where you get to call some of the shots. This is exactly why it is important for new female patent agents and those considering the field to meet and be in contact with other female patent agents and attorneys. With solidarity, women in patent law can support each other and achieve higher. At least for myself and a few of the other women currently in the program, interacting with other women in the field that we’re entering not only gave us realistic insight into what it’s like to be a woman in patent law, but it quells some of the internal questions of “Can I attain a successful career?” and “Will I be taken seriously?”. In establishing a bigger presence of women in the field and forming a larger network of women in patent law, I believe that women will begin to fill more of the higher job positions and break through some of the barriers that are holding them back. As a feminist, of course I plan on advocating for more girls and young women to pursue degrees in the STEM fields and join the realm of patent law, as well as promote equality between the sexes in the existing IP workforce. I believe that the field will benefit from both an increased presence of women and the equal influence of men and women in the future of IP. I think that together, we can work towards resolving some of the caveats that exist in the patenting system. 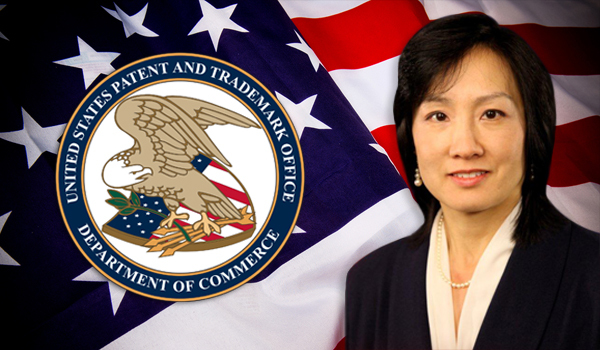 I also believe that USPTO Director Michelle Lee will make a huge impact on patent law during her career, as she works to better the quality of issued patents to assist in stifling patent trolls. Not to mention, right here at Notre Dame, all MSPL students and alumni have been lucky enough to have Karen Deak direct the program and support us throughout the nascence of our careers. The MSPL is a great program that would not exist without Karen, and I have her to thank for enthusiastically encouraging me to join the program from first introduction. Don’t get me wrong: I still expect to face some adversity in my career. Although I’ve been pleasantly surprised so far with the respect that my opinions have generally been given, I’ve still experienced a few bumps. Sometimes my opinion is dismissed, and many times I have been cut off while speaking. I’m not always treated as though I know what I’m talking about. Maybe this is because I’m a woman, or because of my lack of hard experience in the field, or because of my educational background. Regardless, I expect to have to fight to be respected going forward. I fully intend on being myself and unabashedly standing by my opinions. Although remaining a humble person and learning from those both above and below you are important skills, I plan on respectfully asserting my intelligence and will push to be treated as an equal. As a final note, I want to share that ‘feminism’ is listed as a personal interest on my resume. I most definitely encourage other feminists (both male and female) to do the same. It’s definitely a point for conservation, as a few recruiters and employers have told me that it caught their eye while looking over my background. Not to mention: it’s an opportunity to support the equality of men and women in the IP workforce! Adams, Sara-Jayne. 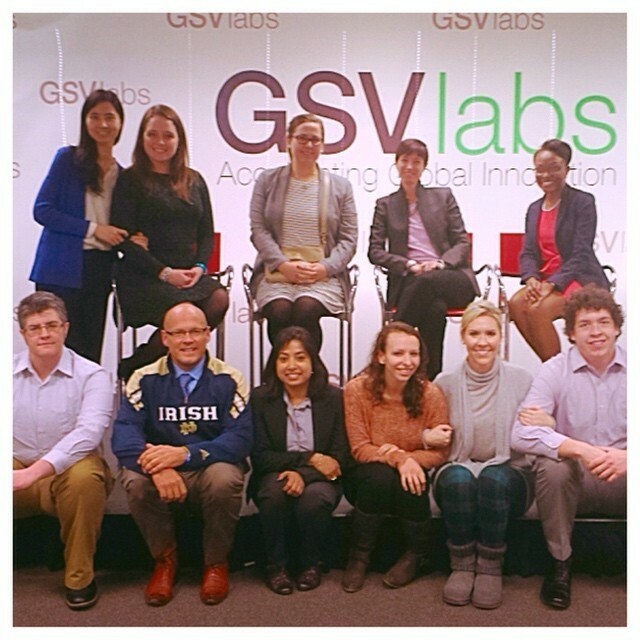 “Women in Patents: Breaking Through the Glass Ceiling”. Intellectual Asset Management Magazine 2008. Kahler, Annette. “Women Joining the Patent Workforce”. LANDSLIDE 2013, American Bar Association: Vol. 5, No. 4. Stefanini, Sara. “Female Lawyers Say IP Still Male-Dominated World”. Law360 2008. The MSPL just participated in a mock Markman Hearing last week. The shorthand term “Markman Hearing” refers to a United States Supreme Court case, Markman v. Westview Instruments, Inc., 517 U.S. 370 (1996). This case hinged on whether claim construction was a job for a judge or a jury. The holding decidedly provided that claim construction is to be determined by the finder of law, or a judge. Finders of fact, or juries, however, are guaranteed through the 7th Amendment in patent infringement cases which are totally separate proceedings. Markman Hearings differ from infringement trials, though. The purpose of a Markman Hearing is to decipher what the claim terms of a patent mean. If you recall from some of my earlier blogs I discussed that claims are the legally enforceable portion of a patent. Claims essentially describe the invention that is to receive patent protection. And just because you receive a patent doesn’t mean that you are finished with the legal system with regard to that invention. Depending on the patent and the parties involved, your patent may become the subject of heavy litigation at some point. This litigation will likely stem back to the claims of your patent. If your claims are unclear another party may infringe, or unlawfully make, use, sell, or import your invention. This gives you reason to sue for infringement. For our Markman Hearing the MSPL was given a set of children’s connector toys. If you were born in the eighties or nineties you remember Tinkertoys and K’nex®. We were given a larger version of these as the subject products in question for our hearing. This brought back some great memories for me because my grandmother had a set of giant Tinkertoys that she hid in obscure places in her home in Iowa. She hated to clean the mess we made after playing with these toys and knew that my brothers and I would never clean up after ourselves, so we had to sneak the set out of her basement when she wasn’t looking. This got a lot of nervous giggles out of us but when she’d discovered what we’d done, she would laugh, too. Who knew that years later I would be trying to interpret the claim construction of the patent drafted to protect this childhood memory of mine?! During the hearing, the MSPL was split into two groups: one group became the plaintiffs and the other group became the defendants. The plaintiffs accused my group—the defendants—of infringing their product by making some connector toys almost identical to their toys. Just as in a real Markman Hearing, both sides met to discuss what claim terms they agreed were ambiguous and needed to be argued. Both groups met outside class to formulate arguments and draft briefs to the Court. A hearing was scheduled to argue the meaning of the ambiguous claim terms and the briefs were submitted to the judges—our professors. The day of the hearing the defendants knew that they were in trouble as soon as one of our judges/professors, Tom Mauch, saw the infringing product and proclaimed, “defendants, you’re toast.” As you can see, this mock Markman Hearing was more laidback than an official courtroom setting; however, it was conducted very close to the procedure of an actual hearing. Both sides were given time to present their arguments as well as ten minutes of rebuttal. This mock experience taught us a lot of valuable, practical information. First, we need to be careful how we initially draft claims—if your claims are unclear you put your client at risk for litigation at a later time. Second, develop your argument but also think about what your opponent’s argument is going to be so you can anticipate and craft a formidable rebuttal. Finally, claim drafting and claim interpretation are learned skills. It takes effort and practice to become proficient at these things, allow time to develop this ability. 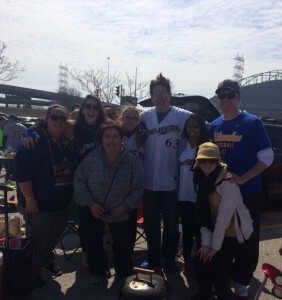 Friends and family tailgating before watching the Milwaukee Brewers on Opening Day, 2015. 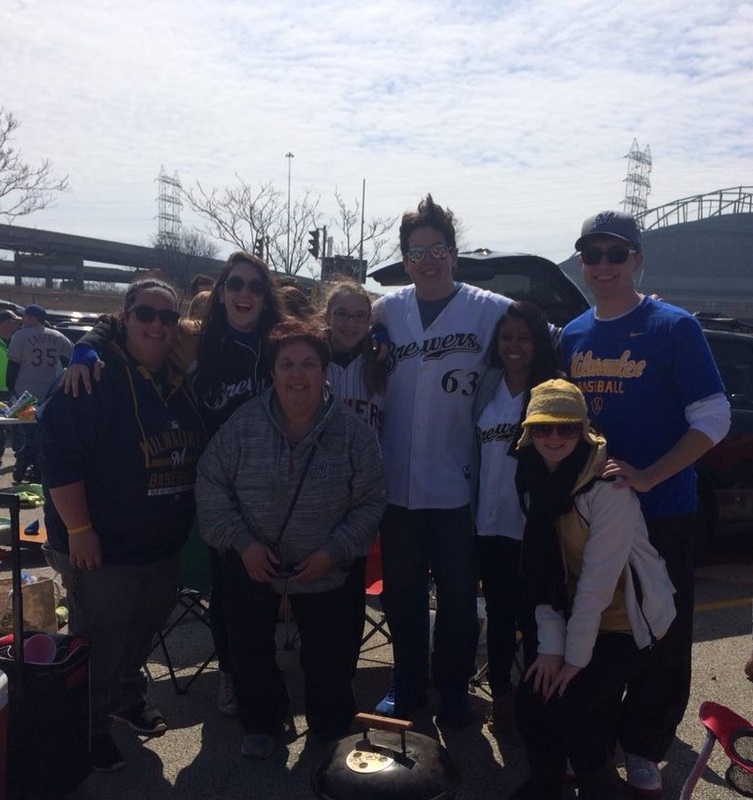 Well this is it, my final blog post to you as a member of the 2015 MSPL class at Notre Dame. 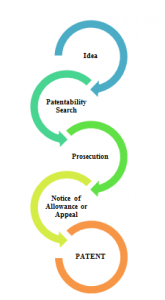 When I first started writing these posts I knew very little about patent law. I knew very little about Notre Dame and I knew very little about what the future had in store for me. As the year has gone on, we have learned an incredible amount about a very specific field and we have learned just as much about ourselves. For me, the unique training at Notre Dame has been extremely rewarding given my background in mechanical engineering which is, for the most part, a broad ranging education. It is a pretty cool thing to be a part of an important and growing field that very few people fully understand. Whenever I tell someone what I have been studying this past year I always get asked something along the lines of, “Why do you like it?” The first few months of this program I don’t think I was ever able to truly vocalize my thoughts. As a result, I gave them a response along the lines of “I think it’s really interesting and that my skill set puts me a great position to take full advantage of this career.” Looking back, I think my answer today would be a bit different. As you may remember from my first post, my inspiration for becoming a mechanical engineer has been, and always will be, my dad, who is a self-taught inventor, businessman and everything in between. After coming up with an incredible idea he needed help protecting his work so that he could build his company. Throughout the year I have been brought back to those meetings with my dad and the patent attorney so many times. This year I have had the pleasure of working with some of the brightest and most talented minds at Notre Dame through my capstone project. Each time I worked with these men I brought myself back to that time. As I explain complicated patent issues and concerns to my inventors I have had moments where I have seen the proverbial “light bulb” go on. After a few of these moments, I realized that, in a sense, patent practitioners are just as much translators as they are practitioners. Very few inventors understand patent law and, as a result, they are completely entrusted to the knowledge and judgement of the practitioner in protecting their ideas. One skill that is extremely important, and developed over years of practice, is doing a good job explaining all of the options available to the inventors and helping the inventors achieve their goals. The practical experience that the MSPL offers in this department will go a long way in preparing us for the countless conversations we will have with inventors throughout our careers. So what’s next for me? An awful lot, and I am going to love every second of it. I am excited to begin working for Foley & Lardner LLP at their headquarters in Milwaukee after graduation. I am thrilled to serve within the electromechanical group and I look forward to bringing everything I have to a fantastic team. It is also an incredible blessing being able to start my career in the area I grew up in which will allow me to stay near my parents, girlfriend, and close friends. I have three younger sisters still at home and being able to be there for them as they grow up and go through high school is an amazing opportunity. Another fun fact about me is that I play on an amateur baseball team near Milwaukee so it will be amazing to be able to continue playing a game I love. I have played the game since I was old enough to hold a bat. In high school I had a few key injuries that derailed my career. After forgoing the sport in college in order to focus on my education it has been revitalizing to pick it up again and I look forward to another great season. I hope to get to a few Brewers games this summer, and to a few Packers and Notre Dame games in the fall. This next year holds a lot in store for me. I will watch my girlfriend graduate with a double major from an incredibly challenging university. I will enjoy the moment with her knowing that she has made the most out of an incredible life that has taken her from an orphan in India’s largest and most impoverished city to an inspirational leader and life changing mentor for children in the classroom. I will travel down to Chicago to watch my younger brother continue to light up the stage as he plays a lead role in a major theatre production this summer. I will watch him wherever he goes and I am excited to continue to witness his transformation from high school theatre standout to movie star. I will help my oldest younger sister (wow that was difficult to put into a sentence) as she prepares to begin her own college odyssey. I will watch both of my oldest younger sisters continue to tear up the softball diamonds of Wisconsin this summer. I will run to the store to pick up baking ingredients for my youngest sister who is an aspiring chef and baker and I will enthusiastically serve as the taste tester for countless of her concoctions. To put it simply, I look forward to the many memories and good times ahead. Now I also begin another chapter of my life. No longer am I a student, I am now a contributing member of my community. I take my responsibility to give back seriously and I am excited to have the opportunity to go back and improve my community. Throughout college I was able to volunteer through various organizations and look forward to working hard to make a difference in as many lives as possible. I have been blessed to have had the assistance of many generous people in my journey to get to this point in my life. All along I have believed that my life mission is to use my talents to improve the lives of others. Now that I am done with school that chapter officially begins. The last part of this post is directed to the question I’m sure many of the prospective students reading this will want answered: now that I am through the program, what do I think about the MSPL as a whole? I think it has been incredible and prepared me very well for life after graduation. The real world experience the program has provided will serve us all well as we begin our careers in a few short weeks. The capstone project in the MSPL is a unique and extremely rewarding challenge for students that ties in the topics taught in all the classes into one continuous project. I think more engineers and scientists need to consider careers in patent law and that they should consider starting down that path through the MSPL. The MSPL gives students incredible training that would be difficult for students to duplicate in any other setting. In addition to the training, there are many opportunities to immerse yourself in the patent law community. From guest lectures to office visits in San Francisco and Washington, D.C., students are brought into this community through the many experiences available through the MSPL. Another advantage of the MSPL is that students are trail blazers, forging a new path on their journey from engineers and scientists to the patent practitioners of tomorrow. It is rewarding to be on the cutting edge of such an important field and to be a part of an educational revolution. The final benefit is that students are welcomed into the Notre Dame family. At first, I thought this was a fluffy benefit people just talked about but that in reality meant very little. I was very wrong. Being on campus and talking to plenty of alumni I have realized that there truly is a Notre Dame family and that it is a special thing to be a part of. It will be special to belong to a group as close knit as Notre Dame’s and I look forward to interacting with more and more alumni in the coming years. Well, I guess it’s about that time. This is it, my final MSPL goodbye! Thank you for reading my posts and the posts of my fellow MSPL bloggers, Megan and Catie this year. It has been an honor to share my experiences and I hope that they have shed some light on what life is like being a member of the MSPL at Notre Dame. I would be more than happy to talk in more detail with anyone about my experiences and can be reached at the below correspondence or through my LinkedIn profile. After the patent application has been drafted and filed, the patent agent or attorney is still tasked with the prosecution of that application. This requires responding to Office actions regarding the application, and making arguments against any claim rejections. Basically, the patent practitioner is convincing the examiner that the patent application is complete and worthy of issuance. In the MSPL, we are taking a course this semester that focuses on filing these responses. The process is extremely detail-oriented, and the document must be at least double or triple-checked to be sure that it meets all the meticulous formatting requirements called for by the USPTO. That’s only half of the battle. The other half is writing a response to rebut the examiner’s rejections. Some of the arguments against rejections may be simply stating and pointing out specific clauses of the patent laws that cause the rejection to be moot. That may sound pretty boring, but in some ways, these are the easiest of the rejections to which a patent practitioner may have to respond. Other arguments may require the practitioner to argue more subjective matter. A common rejection to receive alleges that two or more earlier patents create the technology of the current application to have been an obvious improvement or combination of elements. In such a case, the practitioner has the option of formulating an argument that no motivation existed to create the invention prior to its conception and patent application filing. This kind of response to a rejection may seem more interesting than simply utilizing the law, but it is much more strategic than it sounds. Firstly, it’s important to carefully read through the rejection to understand what components or aspects are involved in the examiner’s reasoning for the obviousness rejection. This almost always involves two or more patents or articles that the examiner cited as containing all of the elements in the technology of the current patent application. The patent practitioner must then carefully evaluate the language of the current patent application and the cited sources to determine if the examiner is correct in his or her assertion maintained by the rejection. If the examiner happened to forget an element, or possibly misinterpreted the art of the cited references, then the practitioner should (politely) point out those mistakes and assert that the technology of the current application is therefore not obvious. It is important for the patent practitioner to formulate arguments against the rejection that are based upon the specific language and components utilized in the examiner’s rejection. This may include arguments against any motivation to combine elements from earlier patents to create the invention at any point prior to its filing. Generally, when making an argument that no motivation existed to combine elements to create the current invention, the Teaching, Suggestion, Motivation (TSM) standard is used. This is a strategy to argue against the rejection that asserts that prior references did NOT explicitly teach that the particular elements may be combined, suggest that such a combination could be considered, or provide motivation to combine the particular elements due to the functioning of the separate inventions. Making these arguments calls for plenty of research and focus regarding small aspects of your invention, but it definitely makes for an exciting challenge; especially considering that you get to ‘nerd-out’ on the intricacies of your technology! So, keep on searching for your motivation (or lack thereof)! Can you handle grad school? What everyone tells you is true: grad school is difficult. Is anyone really surprised by that? I somewhat addressed this topic in a post from last semester, but I would like to talk about it more in-depth, incorporating reflections from my experiences from the current semester. As I have mentioned before, I was a graduating genetics senior this time last year. As recent as it seems, it was only a year ago when I myself had so many questions in my mind about what grad school would be like. Of course it’s going to be difficult: I’m entering graduate school at Notre Dame! My real question was: can I do it? Can I handle the work of graduate school? Will I be any good at this patent law stuff? Grad school is hard; otherwise, everyone would go! I knew this, and I initially had fears that I wouldn’t be able to keep up, which is quite an ominous fear when you’re paying Notre Dame tuition! Another note of advice that you’re likely hearing is that grad school requires a lot of time management. This is also true. However, you had to master time management in undergrad, too, right? This is not something that is ever going away: the program’s visits to San Francisco and D.C. have indisputably taught us that time management will be a major theme during your career, as well. To connect these two points of advice: have faith that you CAN survive grad school, as long as you are fully aware that you will be tasked with a new world of time management. Grad school is a whole new world. Throughout the year, during casual conversations about how school is going for me, plenty of people had made comments along the line of “you’re in college”. I have been pretty adamant in gently reminding those individuals that I am in grad school, which is most definitely different from undergrad. I am no longer simply going to school, where I am taking an array of classes; I am training for a career and doing class work that is going to prepare me for that upcoming career! To put this into perspective: I just recently completed my final presentation for my capstone project. I survived drafting my first complete patent application! Seven months ago, I had no idea how I was going to reach this point! The thought of drafting a complete patent application on my own (with plenty of wise guidance from mentors, of course) was simply not something that I could see myself accomplishing. Here I am now, with my capstone completed, and yet I am still taking one day at a time balancing the work from my patent law classes, a group presentation for my elective, work for my internship, correspondence with potential employers, study materials for the patent bar, as well as my miscellaneous day-to-day tasks. The point that I’m trying to make is that I have already completed what I expected to be an insurmountable task, and yet I’m still trucking along and successfully balancing more than I ever thought I could. This is incredible: someone tell this to Catie from one year ago! What I really want to get across to any prospective student is that you should not be fearful of being able to handle the work load of the MSPL. As long as you put forth the effort and are willing to learn, you will find your balance and discover yourself keeping up with the work. Grad school is a different world, but the adjustment just takes time to master, just like any other change in life. I mentioned how much I have on my plate right now, and it definitely keeps me busy. However, make no mistake: I still absolutely make time for myself. You have to make time to wind down; it’s how you’re going to draft a patent application without going insane! I allow myself to make time for the run that I wanted to go on, the trip to the Grotto that I told myself that I would make, the weekend trip home to see loved ones, and of course: the night out with classmates to watch some Notre Dame March Madness! It’s all about time management, but also making sure that you are taking breaks to take care of yourself. As you likely know by now students in the MSPL have been working long and hard all year on their individual capstone projects. These projects are writing patent applications on various technologies for researchers at Notre Dame. At the conclusion of first semester the students each gave a lengthy presentation to a panel comprised of their inventors, Dr. Deak who is the director of the MSPL, and the representative from the Office of Technology Transfer at Notre Dame who is assigned to their technology. In this first presentation the students worked to explain and demonstrate their understanding of the technology as well as presenting a preliminary set of claims they had forged to protect this technology. This semester, students have worked with professional mentors to perfect their claims and round out many of the sections of the patent application document. This document served as the MSPL thesis and was recently submitted by all the students who intend to graduate this coming May. After submitting their thesis, students also have to give a second presentation to the same panel. This time the students present on the work they did this semester and explain the bulk of the patent application they have crafted. The second presentation wraps up all the work the student has done and allows the Office of Technology Transfer to take the project on from that point. A few months ago I sat down and looked at my schedule and decided that I was going to take the USPTO patent bar exam at the end of March. At the time, I wrote off the effect of the compounding thesis requirements on top of studying for the bar exam using the PLI review materials. A few short days after turning in my thesis and giving my thesis defense I took and passed the patent bar exam. It was a crazy but extremely rewarding feeling knowing that I had attained my three main academic goals for the semester and that now I could focus on finishing out my year strong and getting ready for my next challenges. The MSPL program put me in a fantastic position to succeed on exam day and prepared me well for the variety of questions that were asked. Our work in the MSPL gave me real life experience that was invaluable and made the entire process much easier. That being said, the MSPL’s focus is not solely on preparing students for the patent bar and therefore it was necessary to fully exploit the wealth of PLI study materials we have access to. After taking many practice tests I was ready to go and hit the ground running. Now, for the fun part of this post. One thing you probably don’t know about me is that I love cars. When I’m at home it’s hard to find a weekend where I don’t find myself tearing something apart or putting something back together. For example, over Easter break my father and I replaced the radiator on a car and schemed as to the next parts we were going to buy and install. This past week there were some major developments in the auto industry that had intellectual property undertones. First, one of the most acclaimed contemporary automobile designers, Henrik Fisker, has been accused of copying a design of his former employer, Aston Martin. Fisker, who now is a founding partner and executive chairman of Fisker Automobiles, recently debuted a “design study” named the Thunderbolt which shares a striking resemblance to the infamous Aston Martin One-77. 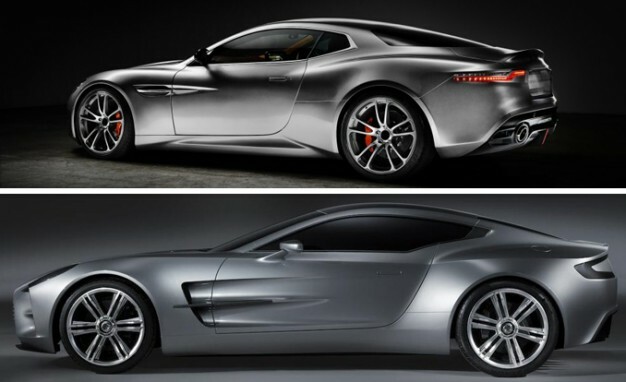 Initially, Fisker approached Aston Martin about producing the Thunderbolt and received staunch resistance but he decided to continue on his intended path regardless. 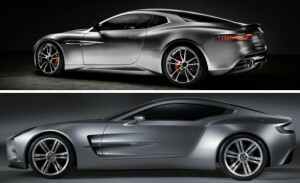 Aston has said that after this initial approach, the conversation had left them believing that Fisker would drop the Thunderbolt concept in an effort to avoid any potential issues. That all changed when Fisker himself showed up at the Amelia Island Concours d’Elegance, which is the premier automobile charity event in the world, in the none other but the Thunderbolt. The response from Aston was swift and a legal team soon filed a lawsuit against Fisker in California on multiple counts of trademark infringement. In particular, Aston alleges that the Thunderbolt contains confusingly similar grille and side vent designs compared to its trademarked designs. Most people believe this to be an attempt by the fledgling Fisker to make off with the high class brand and image Aston Martin has worked so hard to establish. 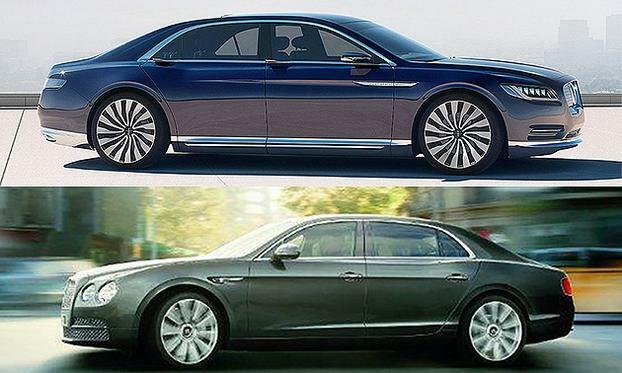 In a strikingly similar case, Bentley finds itself contemplating potential legal action after the 2016 Lincoln Continental concept was unveiled at the New York auto show. Much like the Aston-Fisker case, Bentley is upset because Lincoln is attempting to unfairly profit from the brand image Bentley has worked hard to attain. As you can see from the images, several key aspects of the Bentley are present in the Lincoln and serve to confuse the buyer as to the product they are actually viewing. By most estimates, the 2016 Lincoln Continental, should it become a production car, would retail in the $60,000 range which is only a fraction of the over $200,000 base price of the 2014 Bentley Flying Spur. Perhaps the most fascinating aspect of this case is the reaction of Bentley head designer Luc Donckerwolke (who is also the man responsible for the stunning Lamborghini Murciélago) who said; “Somebody asked me if I wanted to sue. I said, ‘No! I don’t want to sue. I don’t care about that. My issue is about respect for the car-design process.’ If we start copying each other, then this is a negative for the design culture.” In today’s global rip-off culture it is refreshing to hear such a prominent figure speaking out against acts which are all too often considered common place. It will be interesting to see how Bentley proceeds and if they take notes during the pending legal case between Aston Martin and Fisker. It is often said that imitation is the sincerest form of flattery but I’d be willing to bet that recent events have left Bentley and Aston Martin less than impressed. Maybe you have this fantastic idea in your head for a new invention, and you already did a little digging around on your own to see if your idea already exists. You scoured the internet and maybe did your own Google Patent search. From what you can tell, no one else has ever patented or sold your invention! You take your napkin sketches to a company that owns a bunch of patents in the field of your invention. You show them your sketches, explain the technology behind your invention, and give a great sales pitch on why this invention would benefit the public. Unfortunately, they look fairly unimpressed, and they quite distractedly tell you that they’ll get back to you when they can. Months go by, and you don’t hear back from them. You may have been putting in hours to reduce your invention to practice, meaning you work to create a real product out of your idea. You tell yourself that you’ll try again, but then you get distracted by school or work. A few years later, you see a commercial for your product, produced by the company to whom you originally showed your sketches. You go searching again and find that they patented YOUR idea! What can you do?? Unfortunately, there may not be anything that you can do about it. Situations like this one and ones that are more nuanced happen all the time, and this is why your patent agent or attorney may pester you with tons of questions regarding any “disclosure” you may have made. A disclosure is basically any description or demonstration of your idea to be patented that is discoverable to the public before you filed any patent application. Disclosure can be an elusive topic, as it is not always as blatant as running out to show your napkin drawings or lab data to a third party. Sometimes, it can be as simple as having a phone conversation about the technology when someone nearby overheard it, or presenting your data in the form of an oral presentation or poster to colleagues when a guest happened to stop by and overhear your idea. Public disclosure is not always a cut-and-dry event, which is all the more reason why the inventor should guard his or her idea carefully to prevent others from knowing about the technology until a patent application is filed. The scenario described previously is a loss for the true first inventor of the technology because there is a ‘First Inventor to File’ (FITF) system in place. This means that whoever files a patent application on a certain invention first and can show that he or she has reasonable mastery over the technology of the invention will be granted the exclusive rights of a patent. In this case, the company definitely stole your invention, but they filed an application first and likely harnessed an understanding of how to make the invention function correctly. This is not to say that the FITF system is bad; it is just in the best interest of inventors to take certain precautions to protect their IP. There are a few scenarios where you could have prevented this from happening. Firstly, it is important to keep thorough notes over your idea and always date them. That way, you possess proof that you had ownership of the idea first. Secondly, as suggested previously, avoid disclosing your technology as much as you can. No one can find out about your invention and steal it if you never tell anyone about it! Although, if you must make a disclosure, you may want to consider filing a provisional (similar to a placeholder) application or implementing a confidentiality agreement before disclosing. In this way, you are protecting your IP and claiming it as your own before others can experiment with it for themselves. Even if you don’t take this route, you can still claim rights to your idea as long as you file a provisional or non-provisional (actual patent application) within one year of your disclosure date. However, the clock will be ticking and you can never be sure who is trying to patent the same idea. Therefore: go forth, keep inventing, and don’t tell anyone about it until you have a provisional! Staying up to date on intellectual property news is tough. In a field centered on the advancement of technology it’s no surprise that there are things always going on. Doing a quick search on Google for “Intellectual Property” returned more than 15,500,000 results in the “news” category alone. 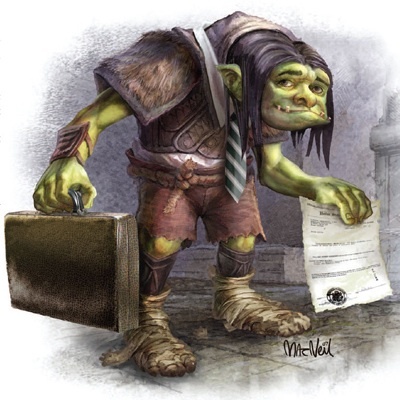 Lately, one of the most trendy and talked about topics is “patent trolls”, which are also known as “non-practicing entities” (NPEs) because of their tendency to never actually produce a product covered by the patent, and “patent assertion entities” (PAEs). The term “troll” is pretty descriptive and, even without any further understanding of the concept, one immediately conjures up a negative image in their head. For instance, some may imagine a mammoth forest green creature with warts the size of golf balls covering them from head to toe whom is wielding a massive sand barbaric wooden club. Taken in a patent law context, that creature with warts is often a corporation swinging around the weight of its potentially damaging patent portfolio. In many instances, patent trolls are corporations that acquire and own patents simply for the purpose of chasing down potential “infringers” and doing all they can to get the most money possible out of them. At first, many of these trolls send the infringing entity a letter asking for a reasonable royalty to continue doing whatever it is the troll believes is infringing their patent. Now, either the “infringing” company gives in to the troll’s demands or they do nothing and wait for the troll to potentially file a lawsuit against them. Often times after not getting their royalty, the trolls file lawsuits which, in the end, cost companies on average around $2M. While some large corporations can easily absorb that cost many small startups cannot and are permanently crippled as a result. While patent trolls have existed for a long time, by some accounts since the turn of the 20th century, there has been a recent push to reform current laws to combat patent trolls. On March 18, 2015, there was a Senate Judiciary Committee hearing on patent reform titled The Impact of Abusive Patent Litigation Practices on the American Economy. At this hearing a large amount of focus was placed on finding ways to eliminate trolls from existence. The troll destroyers, as I have termed them, argue that patent trolls have cost American businesses a lot of money. Further, many fear that patent trolls could attack vulnerable small startups and force them out of business when they don’t have the funds to enter into a lawsuit or pay the royalties demanded by the trolls. It is no surprise that over the past four years ten bills that attempt to combat patent trolls have appeared before Congress without any of them getting through. These bills have not only met a tough audience, much of congress is not particularly well versed in patent law or related issues, but also has met a battalion of resilient and powerful patent troll lobbyists. Many of these past reforms focused on increasing the penalties on trolls for losing patent infringement lawsuits and the same plan of attack is still being pursued by some Senators today. Given all of the hatred on the patent trolls, by people like the troll destroyers, it makes sense to ask yourself how anyone could possibly be in favor of patent trolls. Well take a journey with me as I transform you into just that, a patent troll abolitionist and war chief. Imagine yourself coming up with a great idea for a brand new windshield for your car. This windshield is amazing, it’s hydrophobic causing rain and water bead up and roll off it, it’s internally heated by invisible resistance heating elements that melt snow on contact and prevent ice from forming on it, it has an integrated and invisible photovoltaic cell array that charges the car’s battery, and it attaches to the cars computer to regulate the temperature of the glass so that it never gets fogged up. After developing the product and working with your friendly neighborhood patent agent you are granted a patent on your awesome new windshield. You call all your family members and friends and ask them to pitch in money to help you get a company started. After investing all that time and money you finally get your first sale. Sales over the next few months are slow, and you decide to approach Ford about licensing the windshield from you for use in future vehicles. Much to your surprise, it is almost impossible to figure out who to talk to and how to get them to listen. After pitching your idea to several “VPs” they tell you that they aren’t interested and send you on your way. Discouraged, you decide to continue to try and sell it on your own, figuring that your awesome product would catch on and people would buy them once they saw how great they are. One weekend you are sitting at home watching the commercials during the Packers game when you see it. A commercial for the brand new Ford Raptor, a truck that has a never-before-seen windshield that has all the same features as your prized creation. You are in an utter state of shock. You run to the computer and do a quick online search. You immediately notice that the windshield is identical to yours and it is getting all kinds of publicity causing orders for the new truck to go through the roof. This is almost identical (minus the awesome windshield idea I came up with) to the stories of many inventors, including a U.S. veteran named Fred Sawyer, whose amazing story can be read here. What do you do? You could try to bring legal action, but that takes funding you simply don’t have. You would need to have the funding to compete with a mega-corporation that plans to simply out spend you. What is most likely to happen is that you lose out and go out of business. Today, inventors can turn to patent trolls to team up and go after that big corporation using the funding the patent trolls have. Without someone like the patent trolls the small inventors would have no chance at competing in arena where the price of entry is north of $2M. Without trolls there would be no way to practically enforce patent rights because of these financial realities. Still, inventors pay a heavy price for partnering with the trolls, often forfeiting 95% of their patents value after winning a patent infringement case. Even if the inventors decide to go to battle alone the act of waging war on an all-powerful corporation often earns them the title of “patent troll” as well. So, now that you have seen both sides of the coin, what are we to make of patent trolls as a whole? I believe the term “patent troll” is misleading and that the trolls are actually divided into two camps. One camp that wants to pillage every possible piece of intellectual property and make as much money as possible through downright exploitation of the system, these are the trolls that (almost) everyone agrees we need to address in some way. The other is the camp of trolls that exist to provide balance and security for the small inventors against the big corporations that they otherwise would have no chance against (included in this camp are the single inventor “trolls” going at it on their own). Any potential patent reform needs to be wary of these two distinct camps and the effects any legislation would have on this precarious balance of power. Take away too much of the troll’s power and with it goes the security of the single inventor. Figuring out an answer that protects inventors while combating wasteful litigation will be difficult but is necessary to preserve the integrity of our patent system.